Tables is the PUP that uses misleading techniques to prevent removal. Use Reimage to locate malicious components and get rid of them faster than with uninstall instructions. A full system scan blocks virus reappearance and prevents traffic to malicious domains. Tables virus has made it to the list of potentially unwanted programs  just recently after the users started complaining about seeing its annoying ads while browsing online. After investigating the attacks more closely, experts had no doubts that this was an adware-type  virus. And the Tables ads were just the most obvious features that have led to such categorization. What lays underneath are the stealthy techniques this parasite uses to infiltrate computers as well as the unauthorized installation of additional browser helper programs that help adware stay on the computer longer. 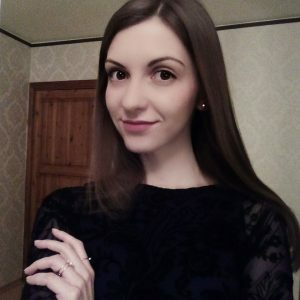 Besides, due to the increase of ads, banners, and other graphical content that the adware shows on the computer, the browser may start operating slower, freeze or crash entirely. Needless to say, applications which can’t work properly are a burden to the operating system and may cause other instabilities and malfunctions to occur. It is only natural that this way, the computer becomes vulnerable and potentially more prone to various cyber infections. Thus, Tables removal should be performed as soon as possible, without allowing such consequences to evolve. We recommend using tools like Reimage to rebuild the infected computer to its original state quicker. While Tables is still on the computer, it would be smart to keep away from the web browsing entirely. The reason for this is simple. Creators of ad-based software rarely disclose what third-parties they collaborate with and not without a good reason. It is not uncommon for adware to promote products or services that come from questionable origins. As long as they bring advertisers money — all third-party propositions are welcomed. Unfortunately, such behavior does not envisage any positive outcome for the users. If they accidentally click on some infected link, they may unknowingly get themselves involved in some online scams or malvertising campaign. The advertiser does not give any guarantees about the trustworthiness and legitimacy of the promoted content. So why would you allow such risky program to dwell on your computer? Remove Tables without letting the malware earn money on account of your privacy and system security. 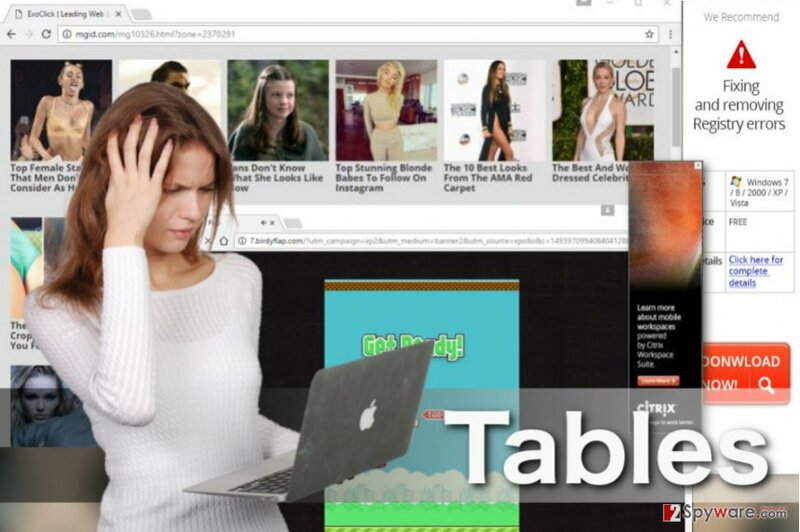 Tables adware is designed to make money for its creators by displaying all sorts of ads on the infected computer browsers. 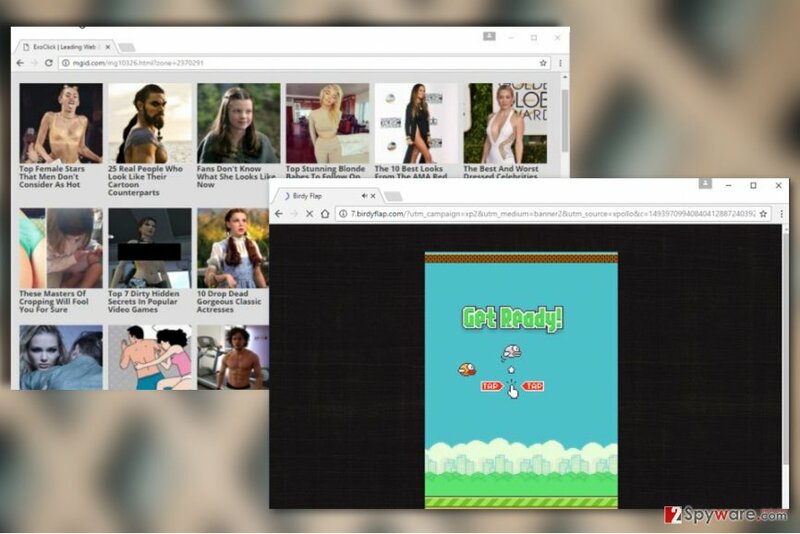 Here you can see a couple of examples of adware generated ads, but the variations are endless. One of the most efficient ways Tables and other potentially unwanted programs infiltrate computers is by applying a deceptive software distribution technique called bundling. The method allows the bundle compiler to pair a couple or more programs together and spread them in a single software package. From the outside, such packages look like they are carrying a single program inside, so when users install them on their computers, it rarely crosses their minds to search these packages for additional components such as Tables adware. However, mistakes are made so we could learn from them. So, the next time you are installing new software on your computer, take a minute to check it for potentially unwanted components and opt out their installation. While more advanced computer users may remove Best Tables virus from their computers quite easily, less tech-savvy people may find this process quite intimidating. In reality, there is no need to worry because there are specialized software out there that can be trusted to perform the virus elimination procedure automatically. Even if you don’t have the ability to obtain such tools, you can use Tables removal guidelines provided below the article. This tutorial has been prepared by 2-spyware professionals, so if you have any questions regarding it, you can always address us in the Ask Us section of our website. Here, look for Tables or any other recently installed suspicious programs. Wait until you see Applications folder and look for Tables or any other suspicious programs on it. Now right click on every of such entries and select Move to Trash. When in the new window, check Delete personal settings and select Reset again to complete Tables removal. To make sure adware has not left some unwanted components on your computer, go through the Microsoft Edge browser and delete toolbars, add-ons or banners that seem unfamiliar or suspicious to you. Once these steps are finished, Tables should be removed from your Microsoft Edge browser. Here, select Tables and other questionable plugins. Click Remove to delete these entries. Now you will see Reset Firefox to its default state message with Reset Firefox button. Click this button for several times and complete Tables removal. If you don’t want the adware to bounce back to your Google Chrome browser and start displaying ads again, you must eliminate all the suspicious software that may have been installed on your computer without your knowledge or permission. Here, select Tables and other malicious plugins and select trash icon to delete these entries. Click Reset to confirm this action and complete Tables removal. Here, select Extensions and look for Tables or other suspicious entries. Click on the Uninstall button to get rid each of them. Now you will see a detailed dialog window filled with reset options. All of those options are usually checked, but you can specify which of them you want to reset. Click the Reset button to complete Tables removal process. ^ Wendy Zamora. How to avoid potentially unwanted programs. Malwarebytes. How-tos Archives - Malwarebytes Labs. ^ What is Adware and Spyware?. Symantec. PC Performance & Utilities Software | PC Tools . This entry was posted on 2017-05-30 at 03:24 and is filed under Adware, Viruses. You can quickly scan the QR code with your mobile device and have Tables ads manual removal instructions right in your pocket. How did you remove Tables ads?